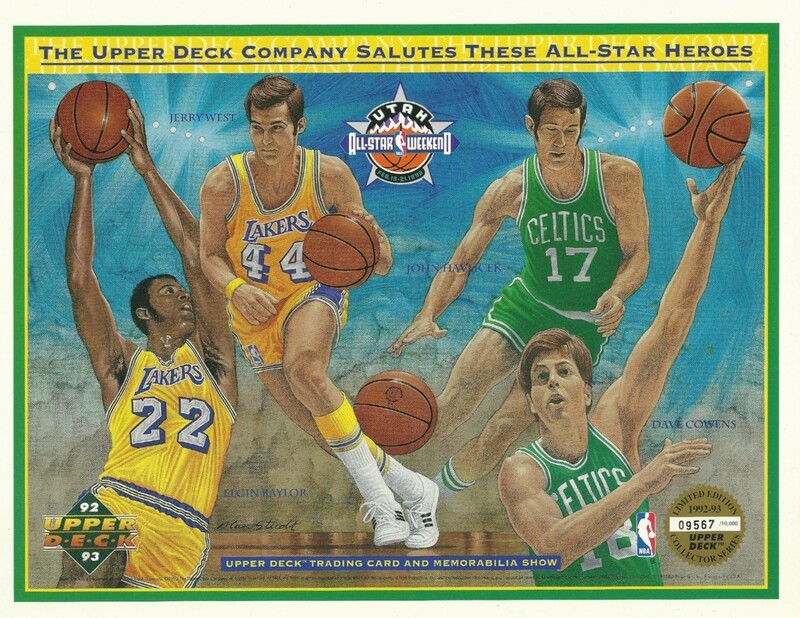 8 1/2 by 11 inch card sheet distributed by Upper Deck exclusively at 1993 NBA All-Star Weekend in Salt Lake City featuring beautiful artwork of Celtics and Lakers Hall of Famers Elgin Baylor, Dave Cowens, John Havlicek and Jerry West. 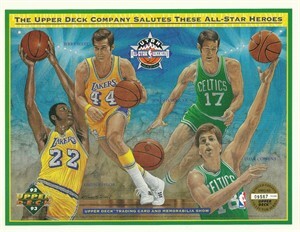 Individually numbered out of 10,000 produced (but most were damaged or discarded). About ExMt condition. ONLY ONE AVAILABLE FOR SALE.